It is fair to say that we really love The Very Hungry Caterpillar in our house, we have the book which all the little Ones love and the girls know by heart. We have had several items of the clothing in the past with Little 3 currently wearing Very Hungry Caterpillar Pj's which are pretty darn cute and I even made Little 2's first birthday cake a Hungry Caterpillar one. 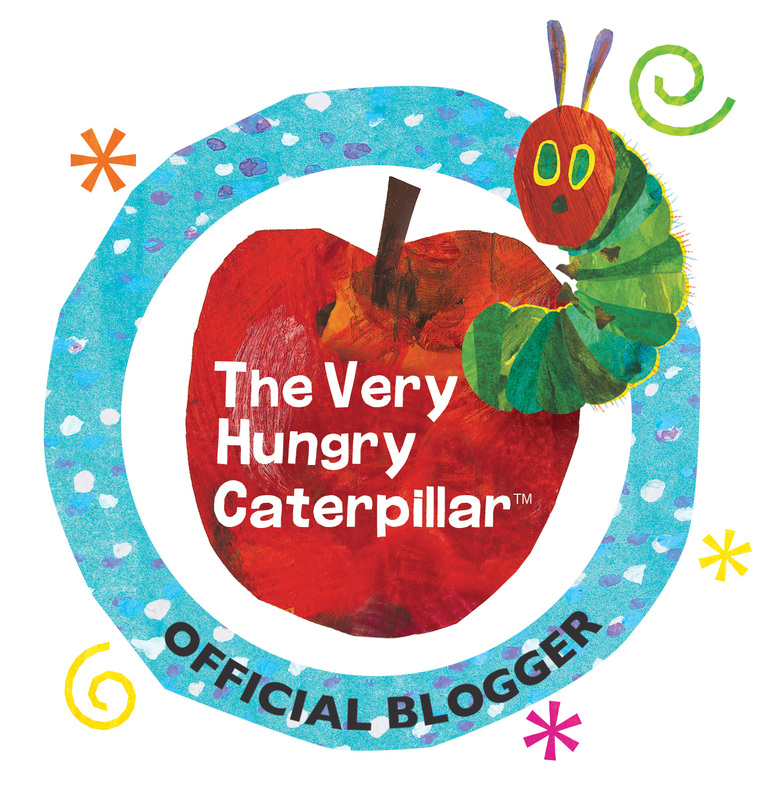 When the World of Eric Carle got in touch and asked us if we would like to be an official VHC blogger and receive a bundle of Very Hungry Caterpillar goodies from their collection to review, we said 'Yes, please'. They were very generous and sent us lots of things so we will be splitting our review into two posts, toys and homewares. The Little Ones have been putting them to the test over the past few weeks and it is fair to say that we have had some fun and like it all. A lovely sized (about a4) embossed tin containing 2 sheets of stickers, a smaller and a larger activity book, as well as a colouring book, a double sided poster and 4 felt tips. The tin is aged at 3+ but I think it is suited to a slightly older child say 4/5 as the activity books are fantastic and filled with all sorts, pictures, dot to dot, little maths questions and words to trace as well as quite intricate colouring pictures, there are also questions on each page so it is helpful if your child can read or understand the questions. Little 2 at age 4 and a half was able to do a lot of it with help and Little 1 declared the little book her own and it kept her occupied for quite a while too. And Little 3, he loved colouring in the poster! This book would make a great gift for a young nature lover, it is brightly coloured and full of ideas and activities for the whole year around, each page contains a little statement, and then gives you a task, can you draw the patterns in a spider web, collect some autumn leaves to stick in etc. Great for toddlers and older ones alike. The Nature Walk Scrapbook has given us lots of ideas and prompted quite a few discussions as well as an Autumn/caterpillar themed crafty afternoon with the Little Ones. Little 2 painted her own version of the Hungry Caterpillar and Little 1 did a leaf themed sticking. A lovely little velcro fronted box, with a double sided puzzle, one side bright and colourful and the other ready to colour in (pens not included). Also included is another little activity book with plenty to keep the Little Ones entertained. Because it has the book included too, this puzzle set would make a great gift for a VHC lover. This set was a god send at a recent trip to Great Granny's house, it kept the Little Ones occupied for AGES. Included in the box is a couple of different bingo type games. Put the puzzle pieces together and there is a bingo game matching shapes and colours from a spinner. Then turn the puzzle pieces over and you have another bingo game on the other side matching animals and mini beasts using the little cards to chose the image to match. I love the little ladybird and caterpillar counters too. Also included is a set of cards with brightly coloured images, they are really eye catching, Little 3 loved looking at them, turning them over and asking 'wass dat'. With the cards you can play 2 games, Snap and matching pairs. 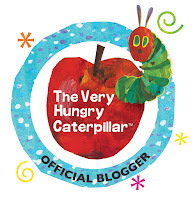 If you love the Very Hungry Caterpillar like us then head over to The World of Eric Carle on Facebook to see more. Check back next week to see what we thought of our homewear products. N.B We were gifted the items mentioned in this post in return for this review, all opinions are our own.